The FQPM is seeking a keen volunteer to undertake the task of researching and documenting the biography of Police Tracker Sam Johnson. 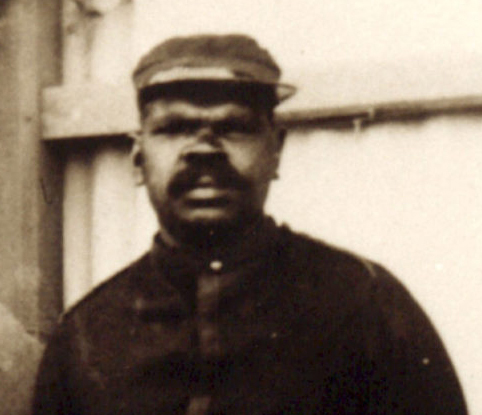 Sam had a long career with the Queensland Police yet his known biographical details are somewhat fragmented and to be found in a number of repositories. Some material has already been gathered but more research is required to complete Tracker Johnson’s story. Care will need to be taken to ensure no cultural sensitivities are impinged upon. Should you be interested in undertaking this project, please contact the FQPM Secretary. A headstone and slab were erected on Sam Johnson’s grave site at the Longreach Cemetery by the FQPM. His grave was re-dedicated on 29 September 2015.